Find out what HazCom professionals all know — a custom message really makes a difference. 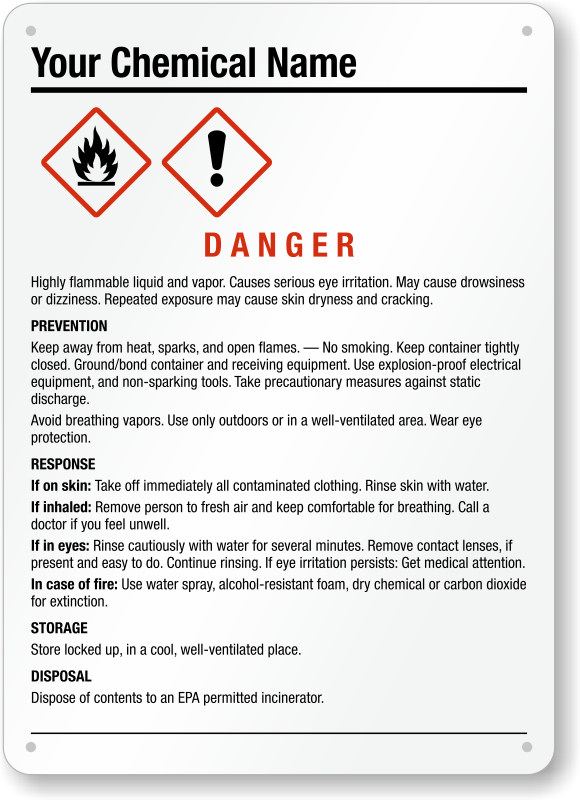 Define particular chemical hazards and show the proper PPE to wear to minimize exposure. • Customize a template to design your sign in a minute. 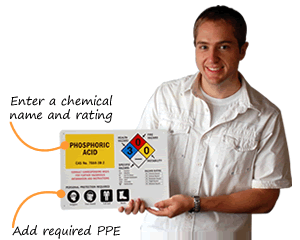 • Choose a rating scale, PPE, and enter the chemical name. 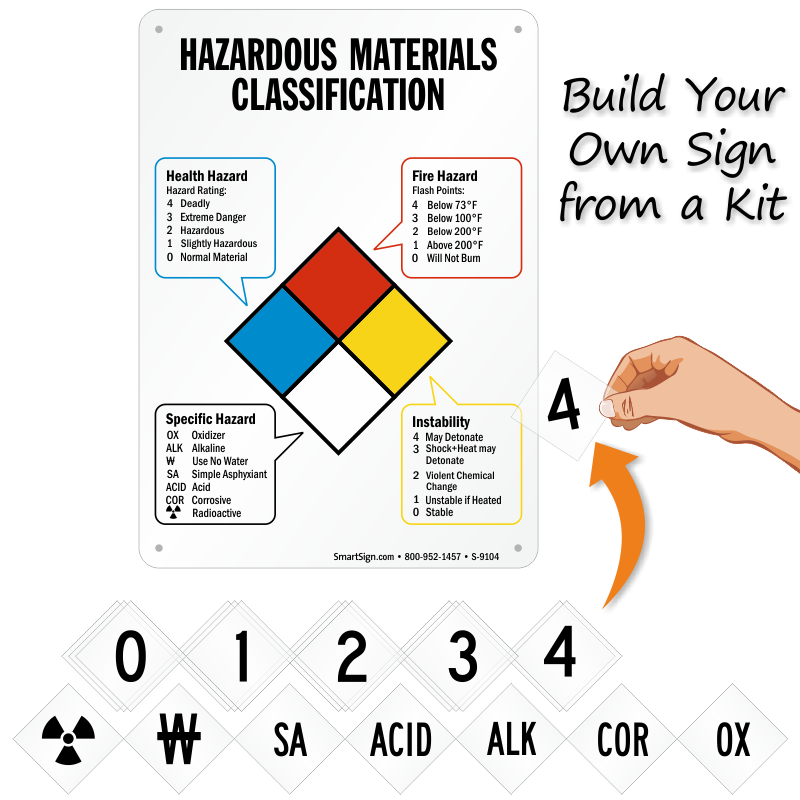 • Try a HazCom sign kit, which include all of the components you need to build your own safety warning. 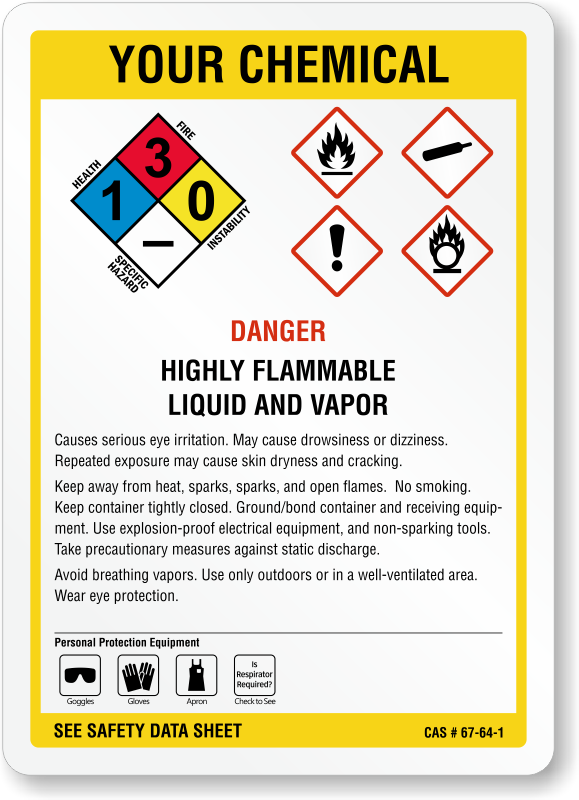 Find stock NFPA designs for common chemicals. In reflective, aluminum, and vinyl materials. 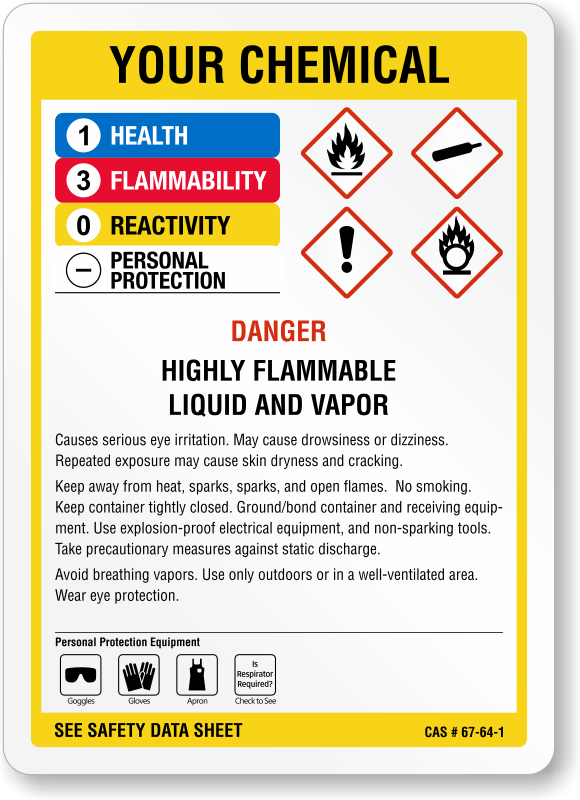 Below are only a few popular custom NFPA sign templates. 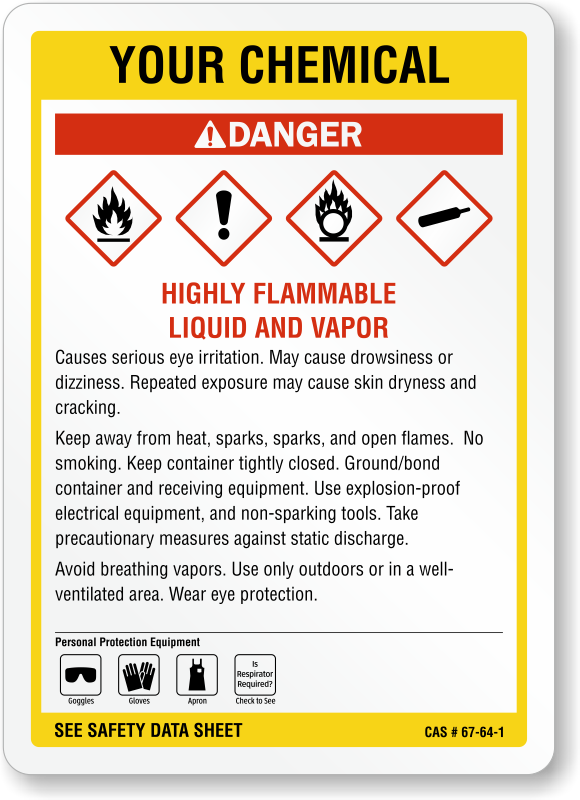 View a broader selection of HazCom NFPA signs to find the best option for your facility. 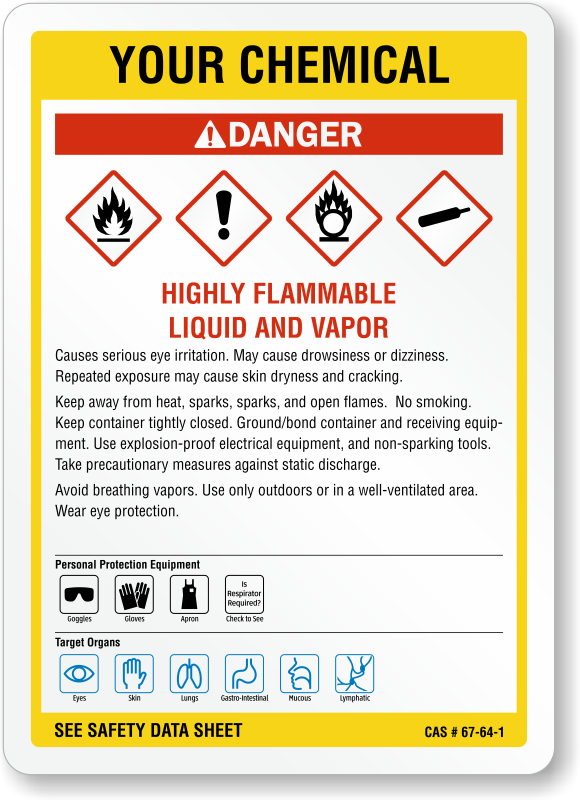 Order in adhesive vinyl (with a protective laminate), adhesive reflective, rigid plastic, or aluminum (signs have 4 holes). Includes mini add-on labels. 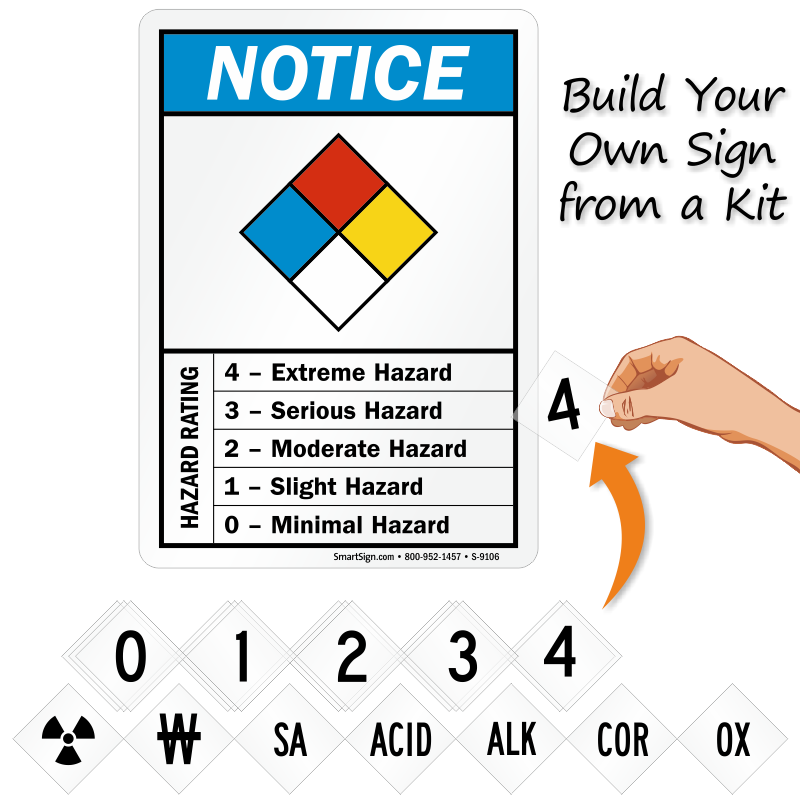 • Design your own NFPA sign online. Sizes from 8.5" to 51" tall. • Choose from reflective, laminated vinyl, or heavy-duty aluminum. 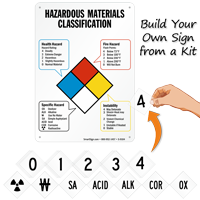 • Build your own reflective, magnetic, vinyl, and aluminum signs in the field. 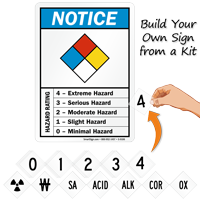 • Includes all the digits and symbols you'll need for any sign. 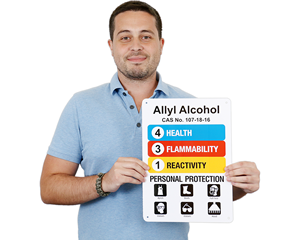 I had the task assigned to me to post a sign about a specific chemical used in our plant in the morning, had it ordered by the afternoon and delivered two days later. Fast system! Great result!